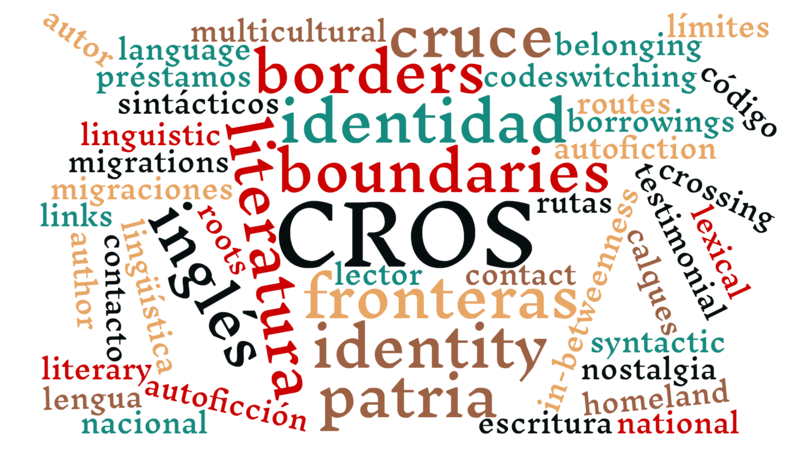 The research group CROS, founded in 2015, brings together experts in linguistic and literary analyses of hybrid texts, attesting language contact between Spanish and English. It addresses several research lines. To what extent can codeswitching, as a natural linguistic phenomenon, be studied on the basis of literary works? To what extent does ‘literary Spanglish’ correspond to ‘spontaneous Spanglish’? Do authors apply codeswitching at the purpose of rhetorical effects? Systematic comparisons of literary and spontaneous codeswitching corpora are made of particular linguistic phenomena such as adjective placement in the noun phrase, word order, explicit use of subject pronouns etc. These case studies should lead to a better comprehension of the ‘grammar’ of Spanish-English codeswitching. Can some recurrent grammatical rules be defined or are the observed phenomena highly dependent on individual speakers? If there seems to be some grammar at work: does English or Spanish grammar dominate? Construction of a twofold identity of Chicano-authors. Which social, cultural, religious and regional factors are reflected in Chicano identity, and how is this concretized? 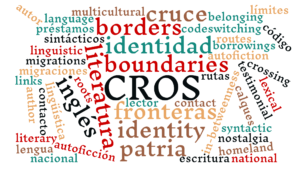 How are social, geographical and gender borders represented in the literature? Does language help at delineating these borders? Literary creation: the relationship between auto-fiction and memory; How does metawriting reflect the double identity of the writer or characters? Some of these research lines tie up with the ones of CLIV. Is it mostly to be situated in the domain of lexical borrowings, are can concrete cases of impact on Spanish syntax be identified? Is it true that the impact is many to be situated among adolescents and younger generations? Another research line focusses on the effects of situations of contact between Spanish and other languages and cultures (such as Basque, Catalan or Galician in Spain, or Nahuatl, Quechua or Portuguese, Italian and German in Latin-America). This also implies the development of Creole languages. To what extent do the outcomes of these diverse situations of language contact run parallel with those between English and Spanish? A part of the investigation is dedicated to the effects of multilingualism and intercultural pragmatics, and more particularly the acquisition of Spanish as L2/L3/L4 and the influence of the native language (such as English or Dutch) on the use of Spanish.